Beth Ronnenburg, SPHR, SHRM-SCP, President of Berkshire Associates Inc., will join a panel with three other experts to discuss Partnering with Talent Acquisition to Manage Compliance Risks at an event hosted by New Jersey Industry Liaison Group (NJILG) and Northeast Region Corporation Industry Liaison Group (NERC). Register today and learn how recent fair pay legislation impacts your organization in this free webinar hosted by LocalJobNetwork. Lynn Clements, Berkshire’s Director of Regulatory Affairs and former EEOC and OFCCP official, teams up with Tim Muma of LocalJobNetwork to bring you best practices for proactively managing this developing area of law in this informative webinar, “Pay Equity: What You Don’t Know Can Cost You.” Lynn will cover recent state and local law changes about fair pay, the new administration’s approach to pay discrimination, and how to proactively identify and address pay inequality issues in your organization. 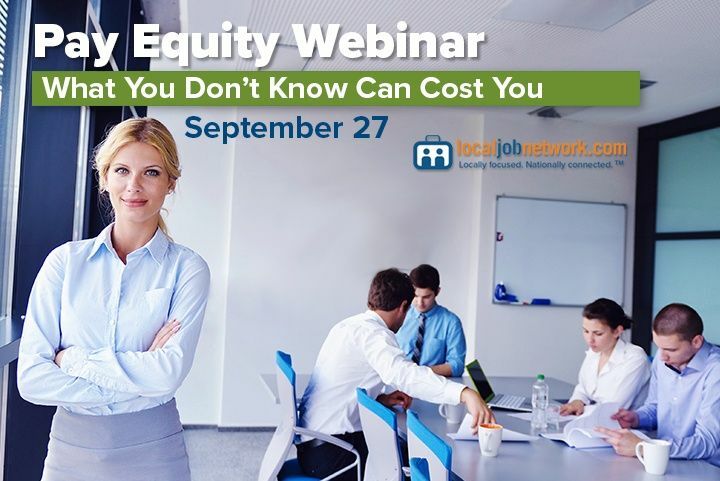 Register now for this free webinar on Wednesday, September 27 at 11:00 a.m Eastern and learn how to protect your company from potential pay equity risks.